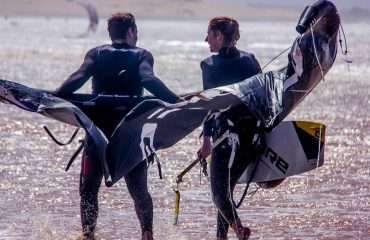 Kitesurfing is the gateway to a whole new way of enjoying your free time. 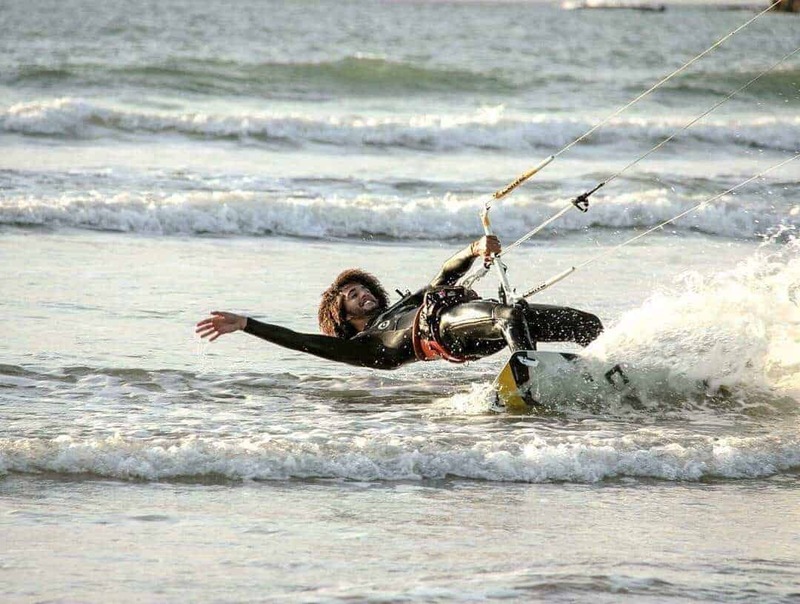 Windy days will no longer ruin your day by the beach, they’ll make your day! Kitesurfing is also a great sport to enjoy with your partner or friends. 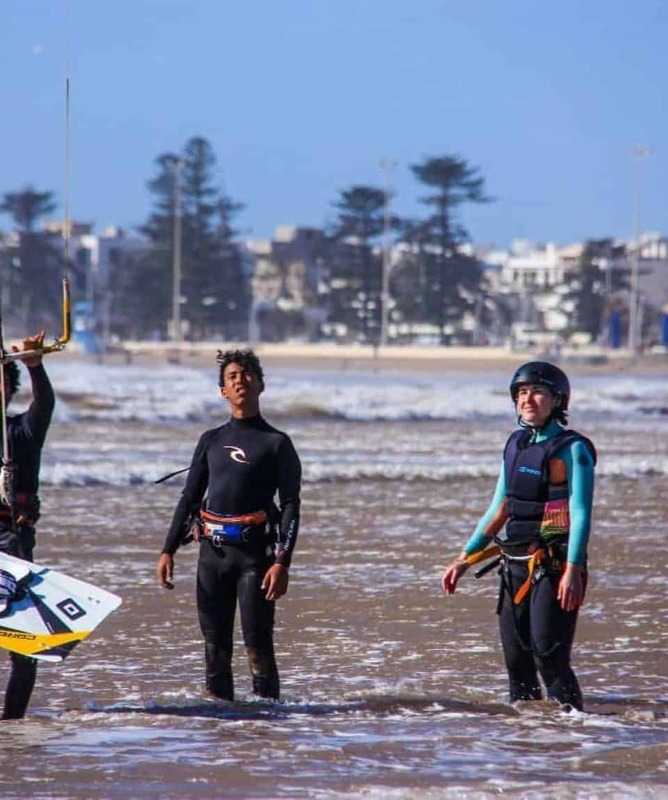 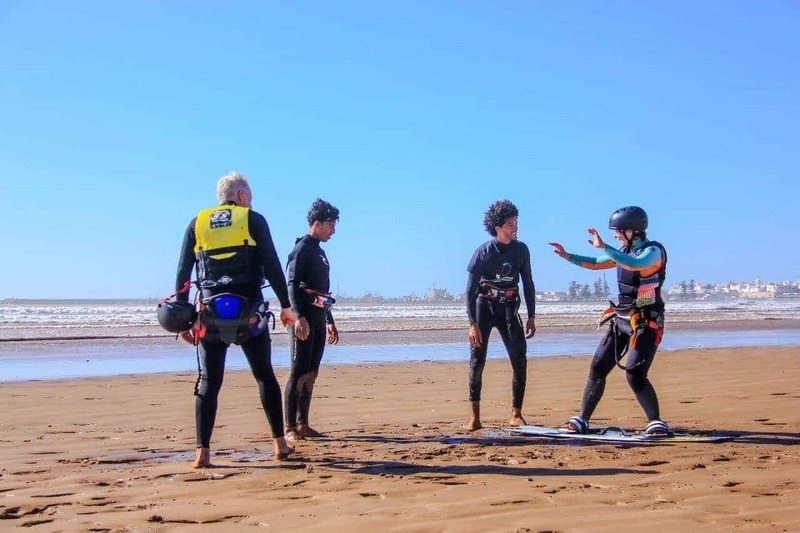 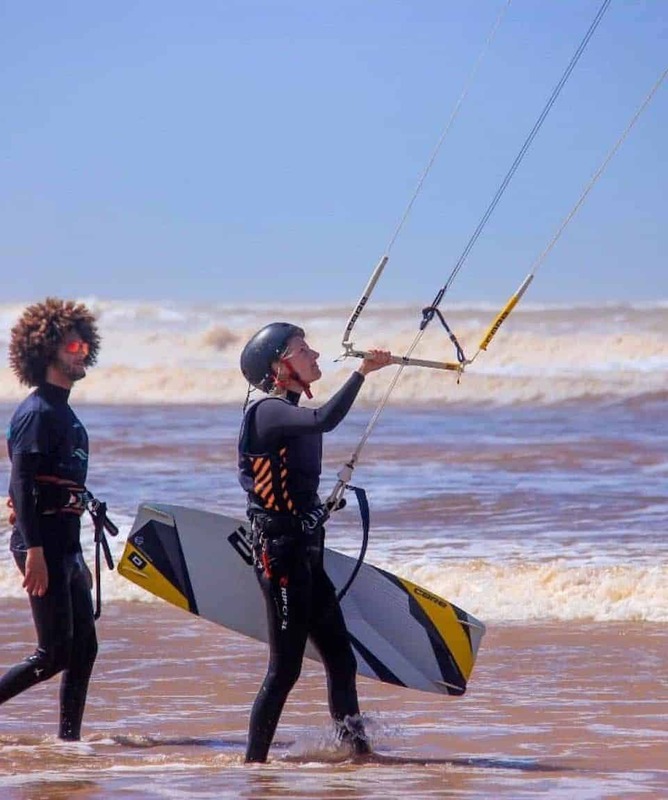 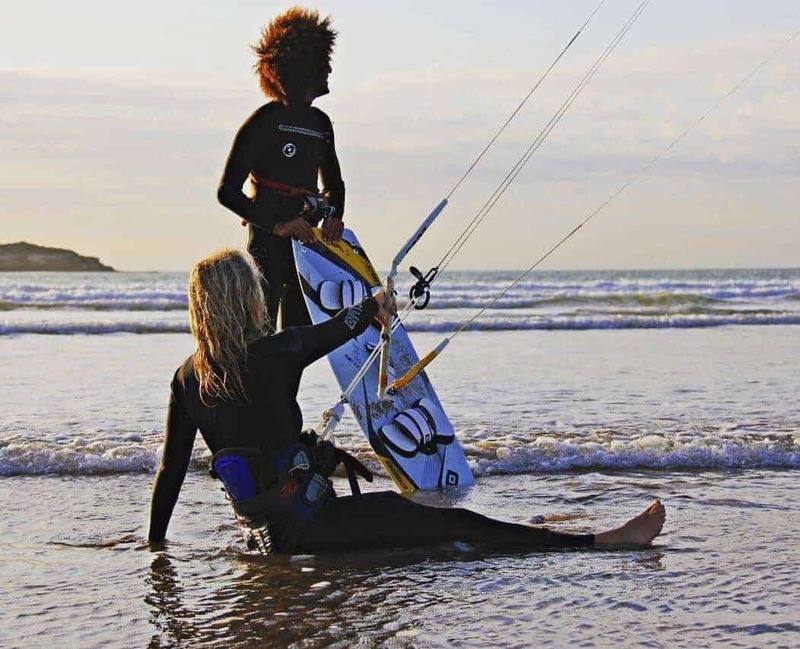 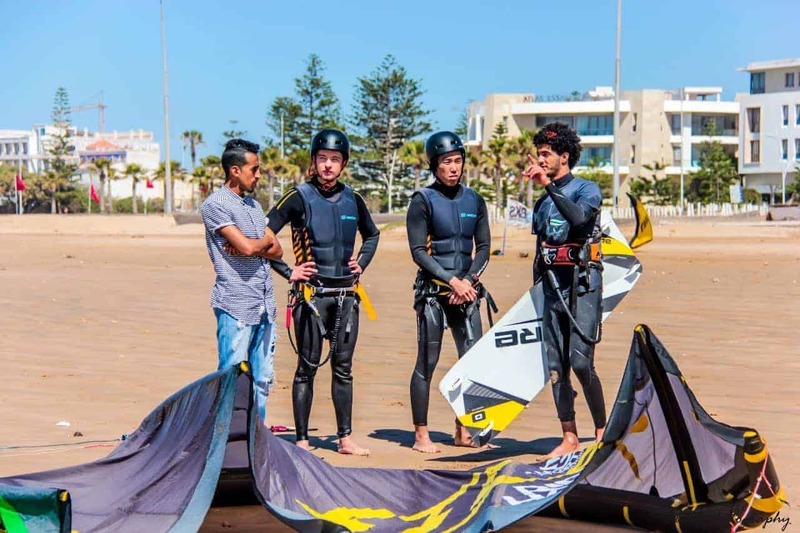 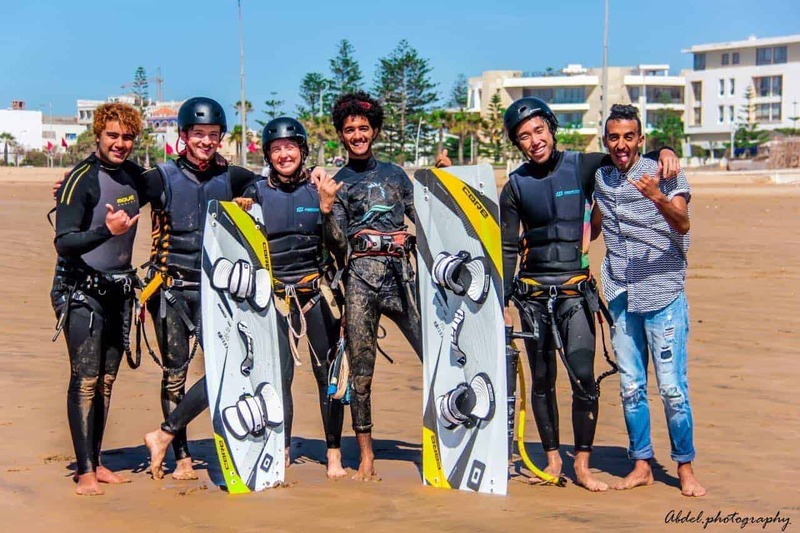 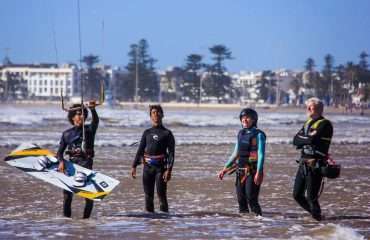 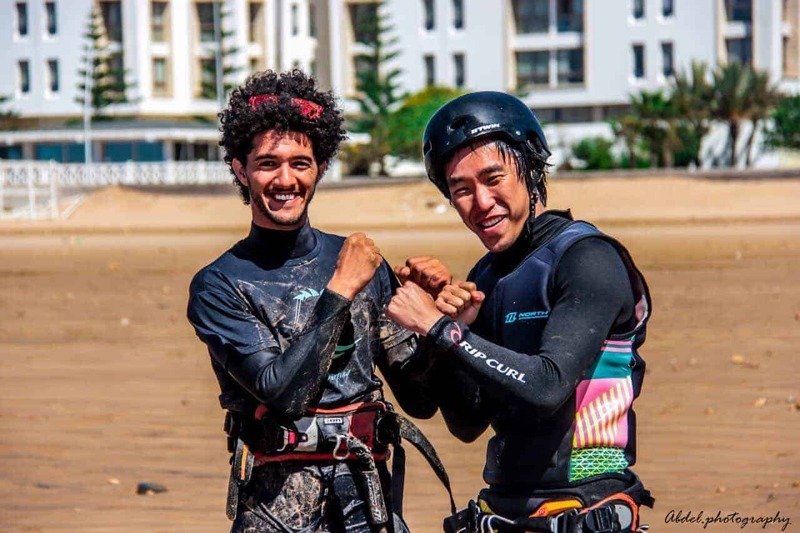 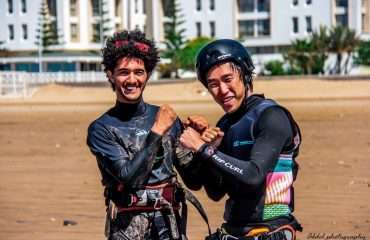 But, first you’ll need to learn to kitesurf, and that’s where this course is a fantastic opportunity to learn with qualified and friendly people while having a great time in Essaoura, Morocco. 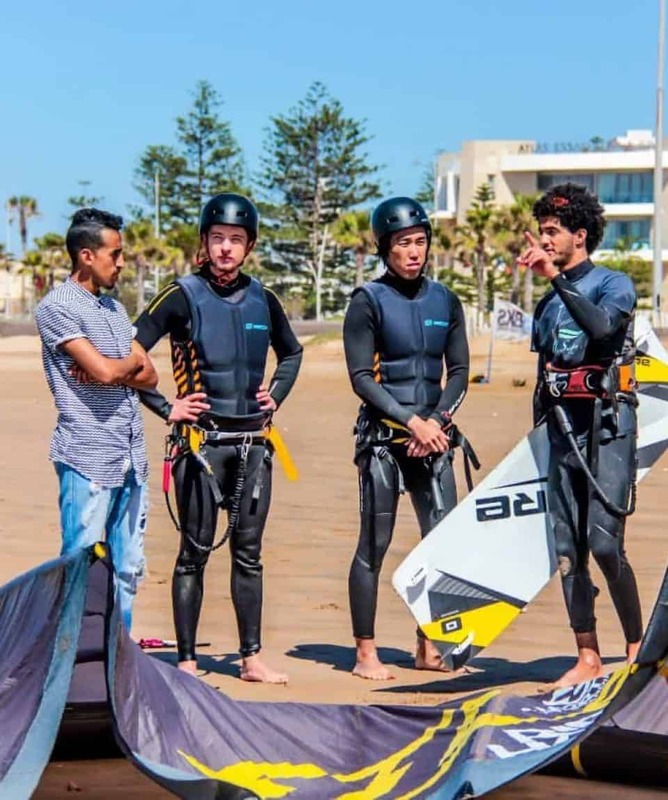 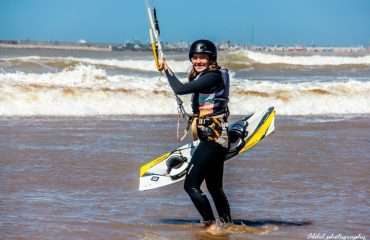 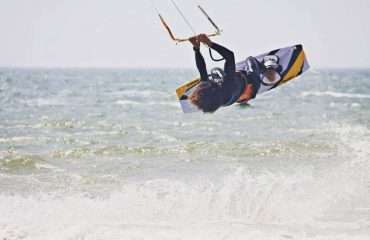 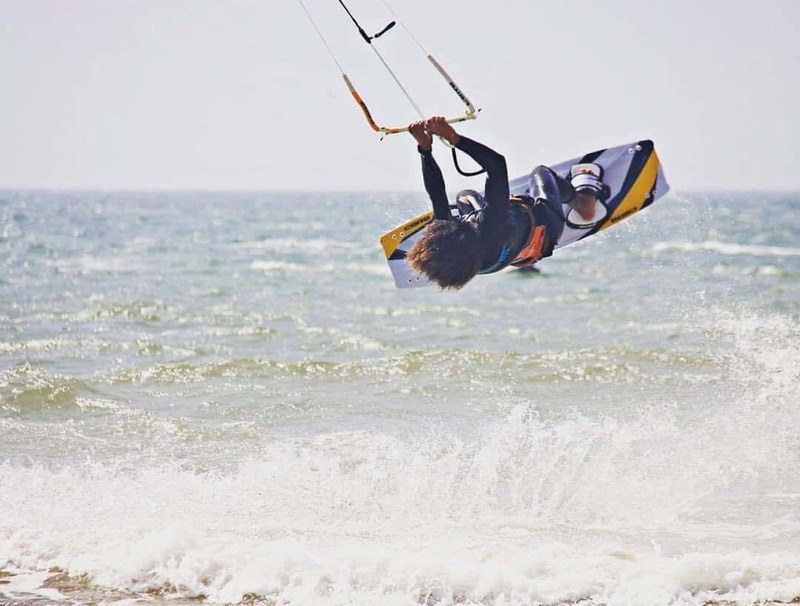 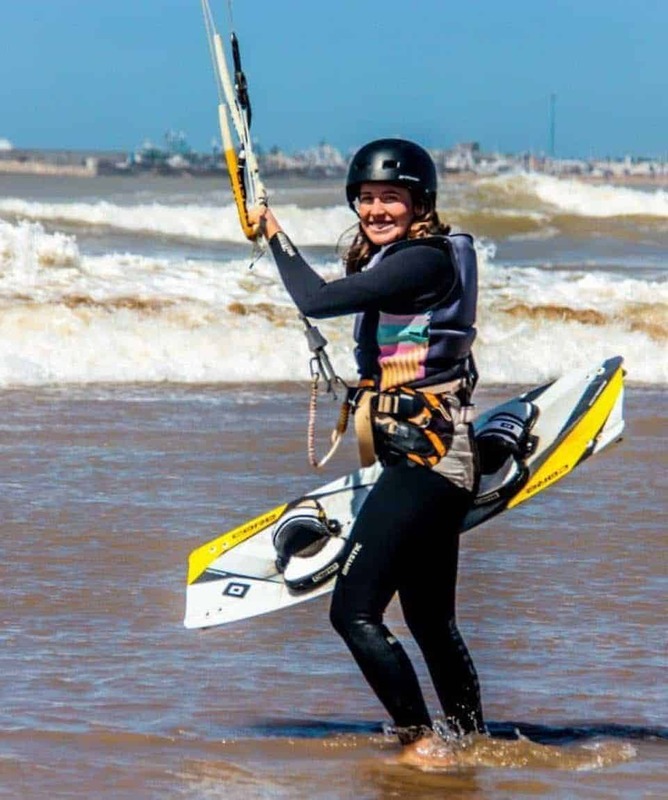 All about the Private Kitesurfing Course, 8 Days, Essaouira, Morocco. 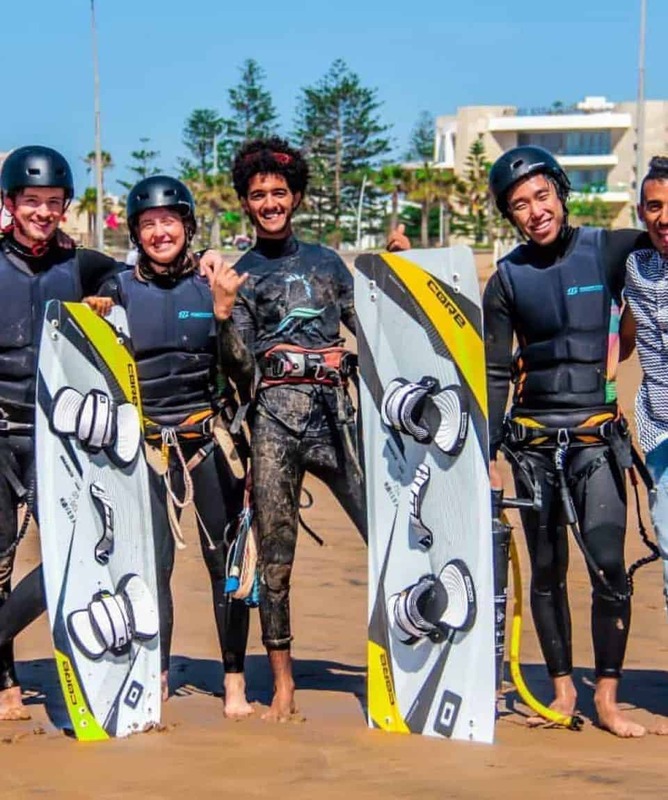 This is a kitesurfing course that will provide you with many great memories and hopefully, will also be a time when you make some great new friends. That’s because this is a course designed to be very personal. 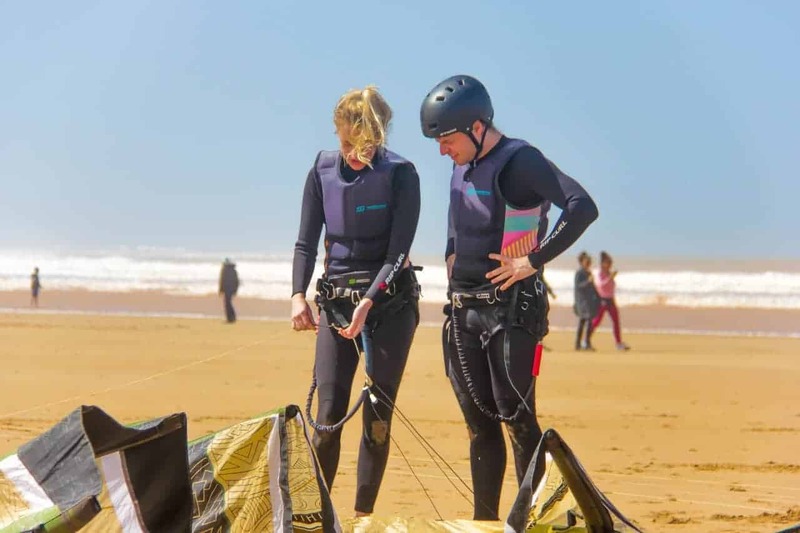 We work with you to develop your kitesurfing ability and knowledge with a friendly and personal approach. 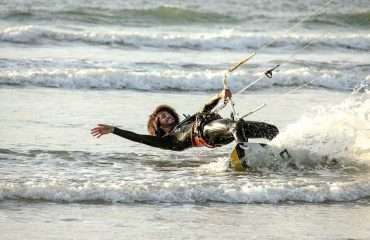 Don’t expect it to be only kitesurfing though. 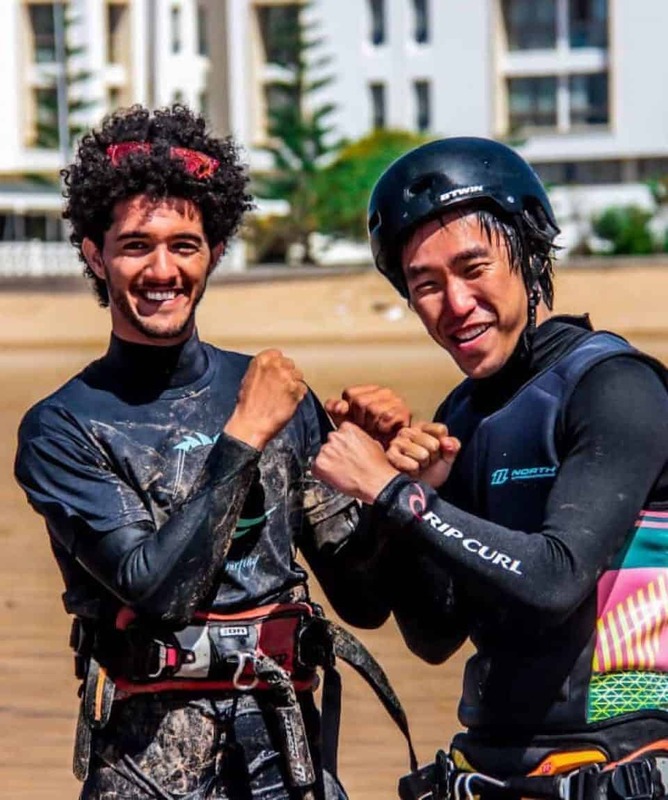 We want you to have a memorable adventure with us here in Essaouira, Morocco, and we’ll make sure you have plenty of opportunities to create wonderful memories. 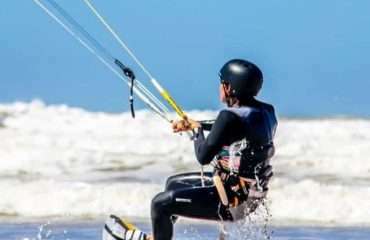 It’s an amazing part of the world and will be your beach playground during your stay. 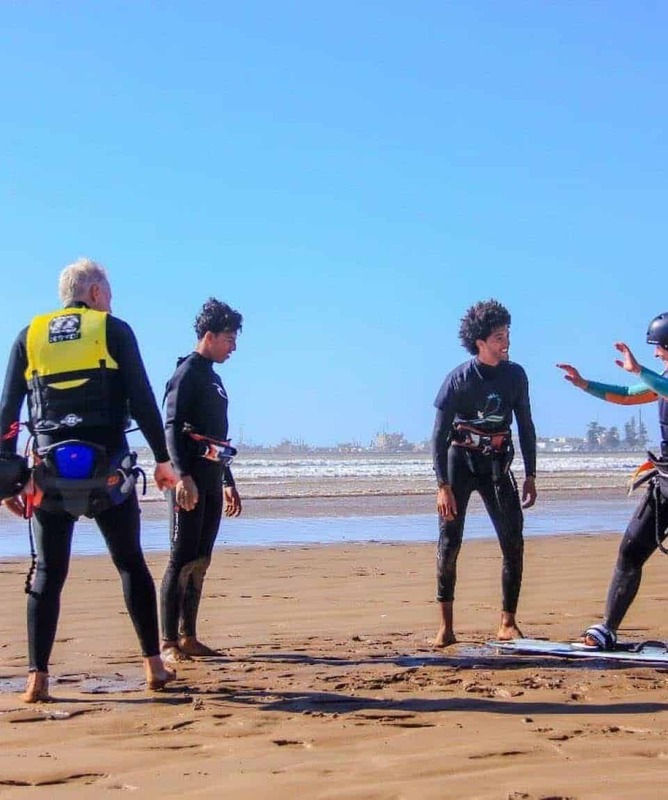 We’re focused on professionalism in everything that we do, and to providing you with safe, high quality and personalized lessons. 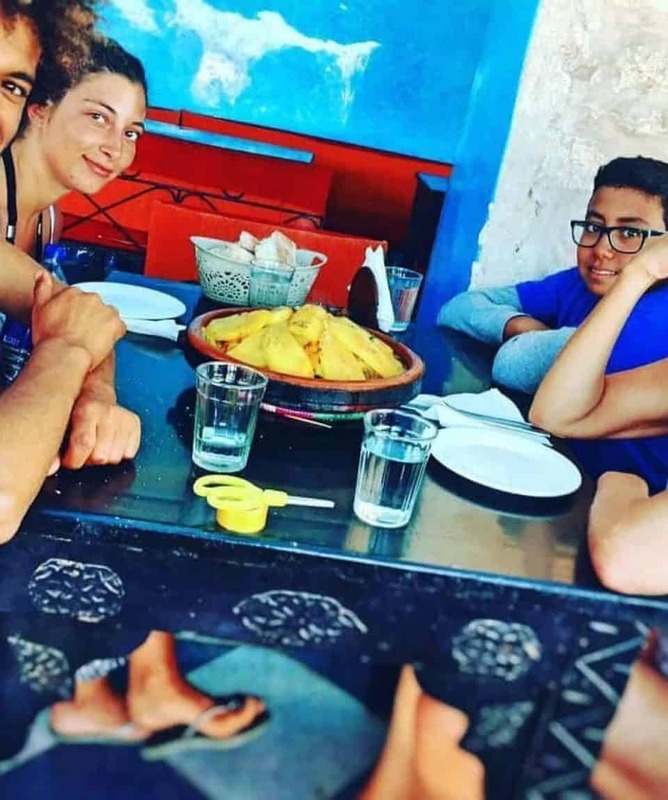 We like to create a personal bond with our guests and hope that after a wonderful and productive time with us, you’ll leave as friends. 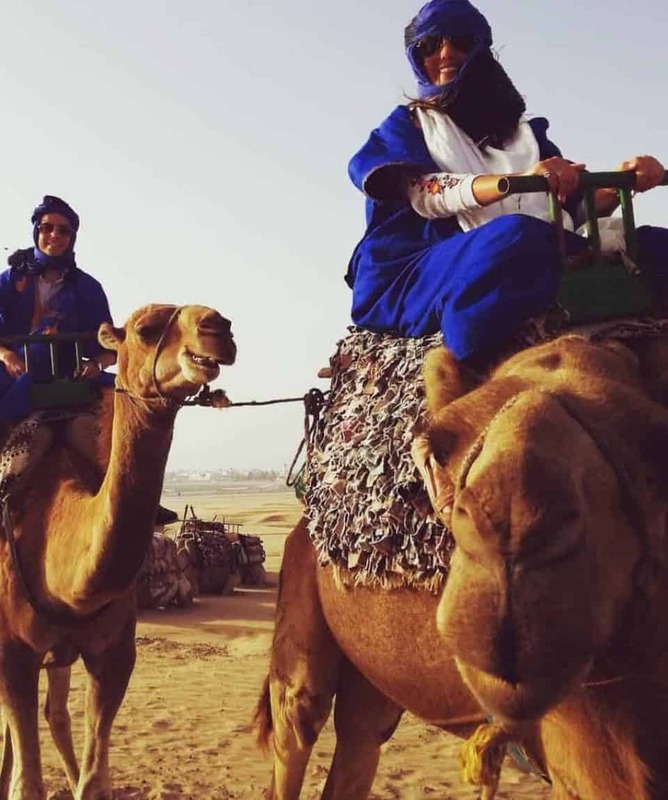 Riads are incredible places to stay. 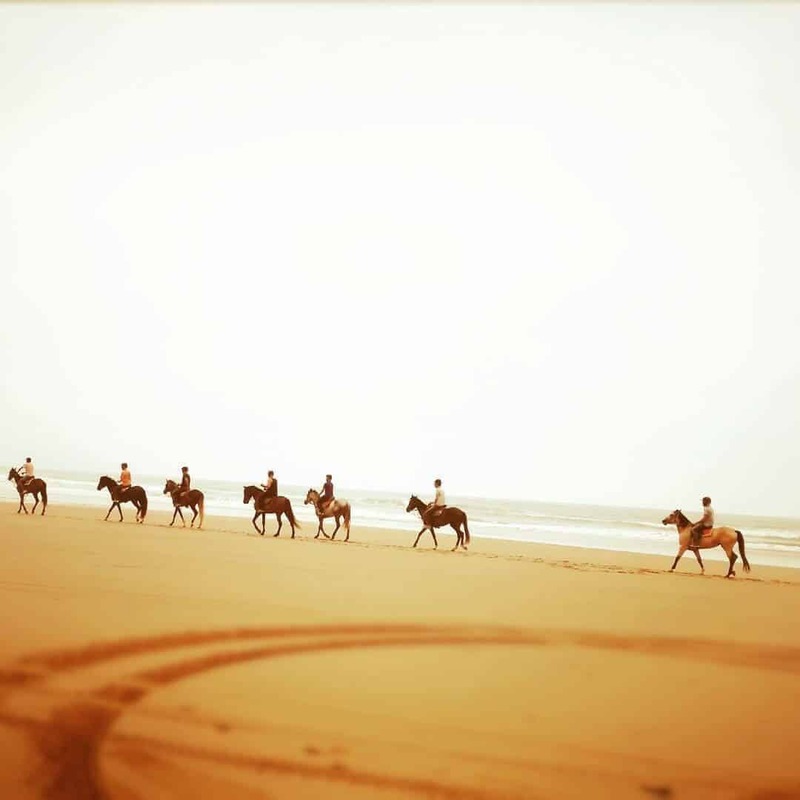 You might not even know you are looking at a riad even if you are right in front of one. 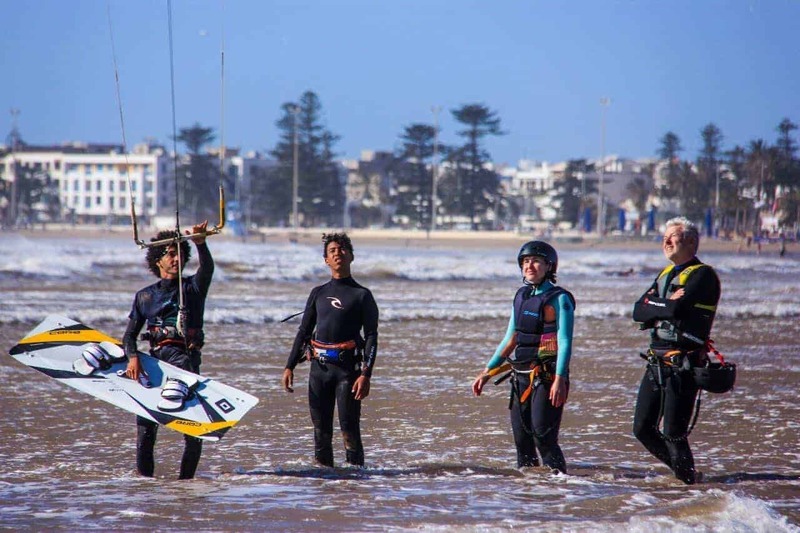 Most of the doors in Morocco are wooden with carvings on them, and many riads are no exceptions. 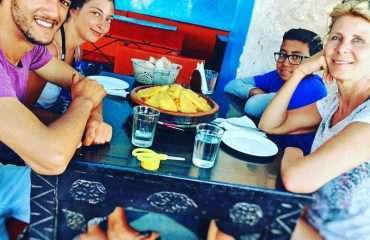 You might be surprised when a simple door opens into a gorgeous guesthouse, giving an authentic Moroccan experience. 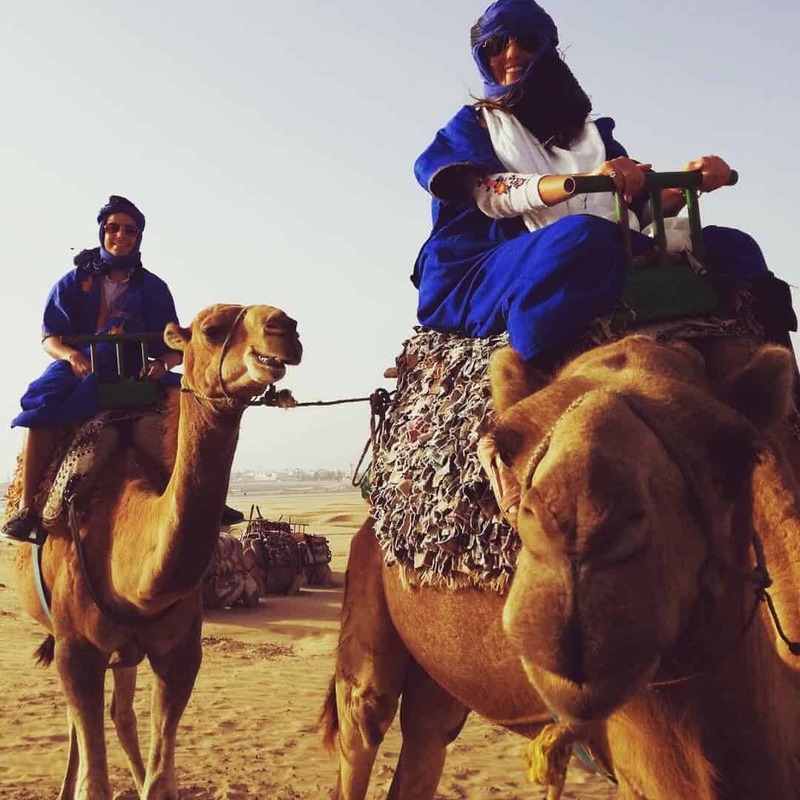 You will be able to view the intricate Moroccan architecture with its beautiful tile work. 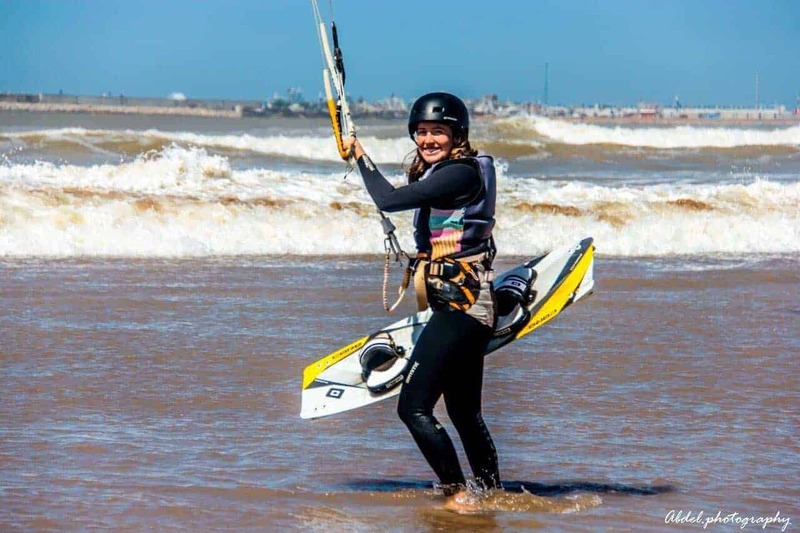 There, you will meet kitesurfers from all over the world, creating a very special atmosphere. 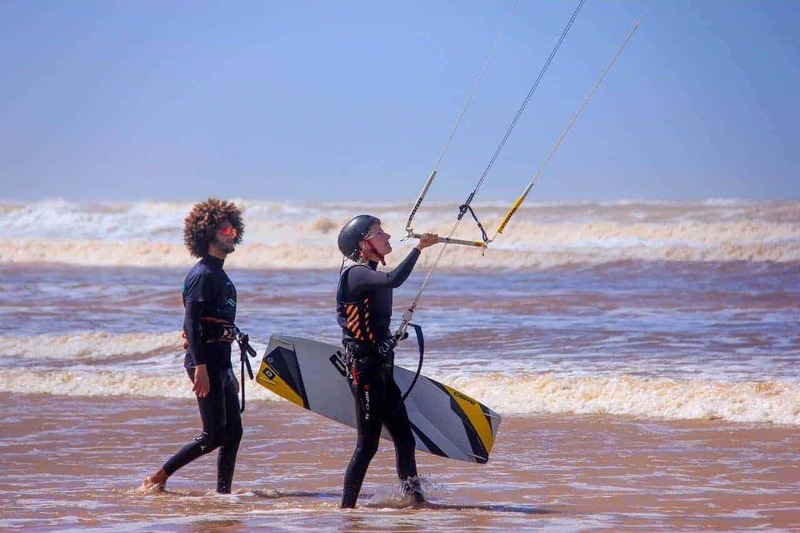 Our riad partners offer you everything you need for a delightful kite surf holiday as a family, a couple, with friends or as a solo traveler. 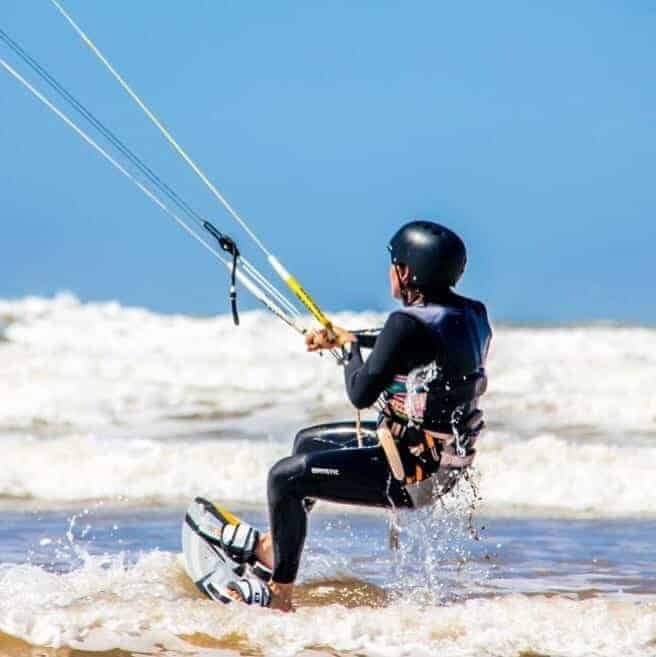 Al Jasira is located in the residential quarter of Essaouira, just 150 meters walking distance to the beach and 20 minutes from the Medina . 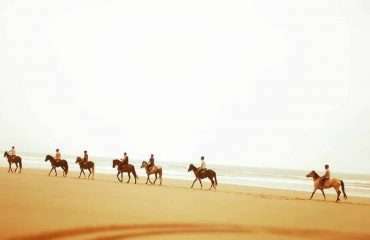 All its comfortable rooms are designed according to European standards and are individually decorated in traditional Moroccan style. 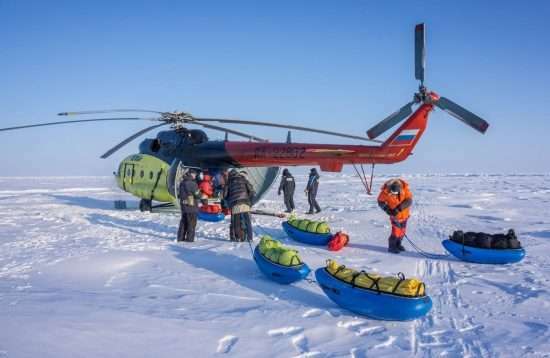 They are equipped with a bathroom, shower and / or bathtub and bathrobes, satellite TV, direct dial telephone and safe. 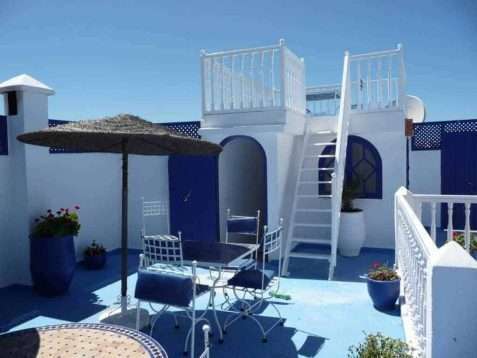 Features an open-air swimming pool, terraces, and parking available. 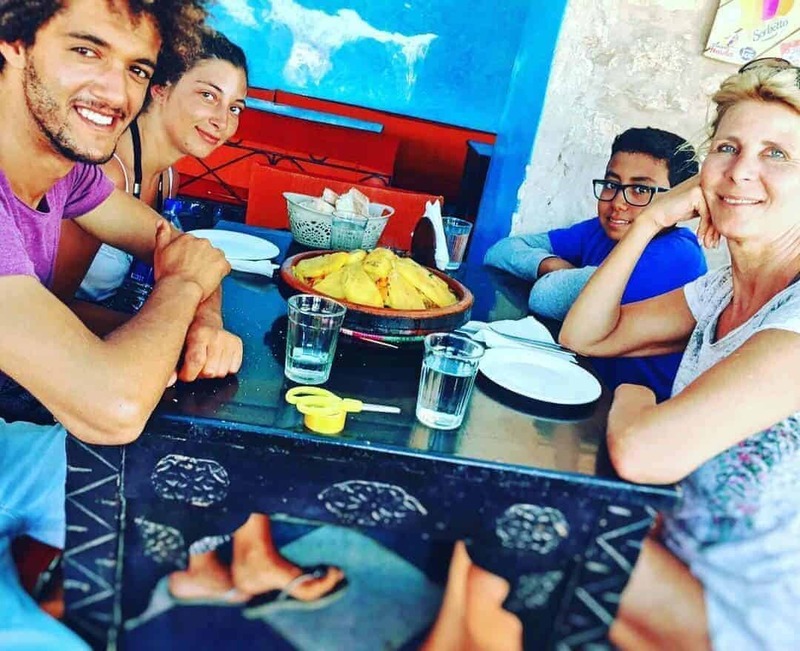 Located in the heart of the medina of Essaouira, in a quiet area, 2 steps from the souks and just minutes from the port and the beach, Dar Nafoura Mogador welcomes you in guest rooms organized around a patio with a fountain. 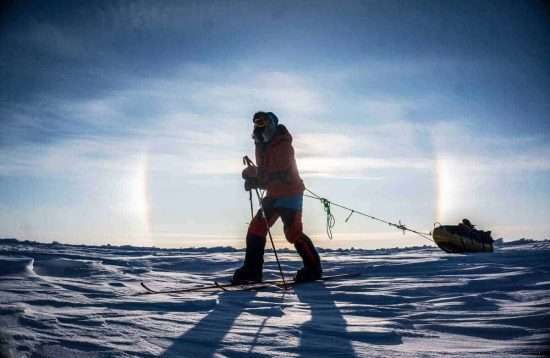 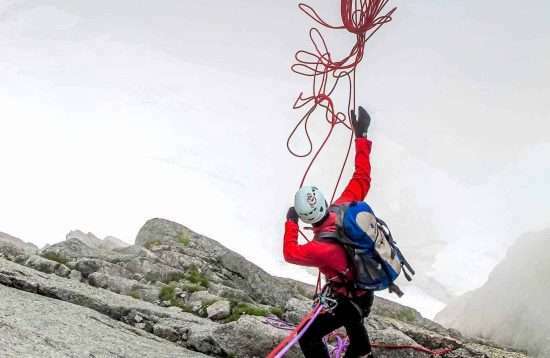 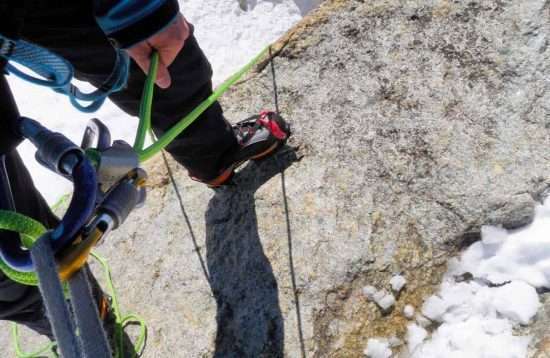 Some activity but not strenuous and no experience or skill required. 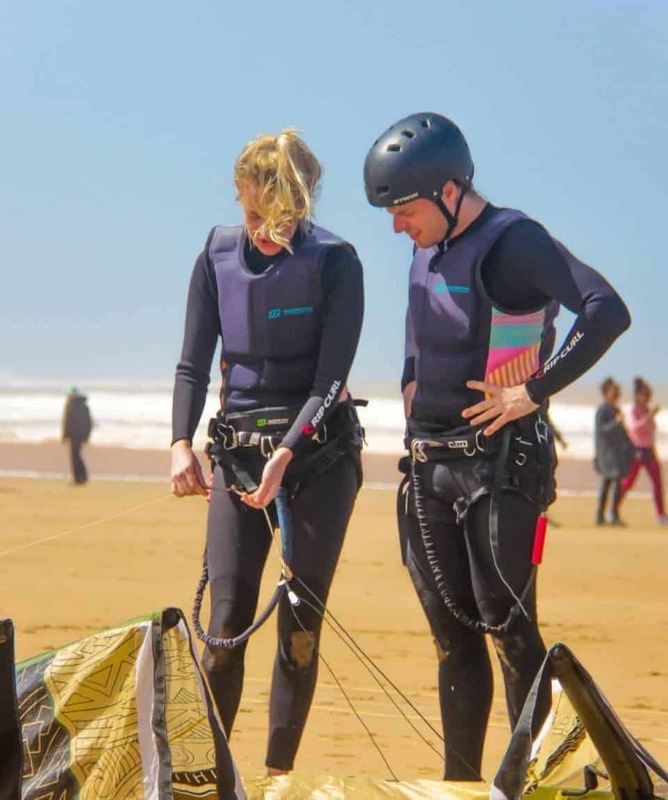 You’ll get personalized instruction and be equipped with the latest gear. You should be able to swim but no other skills are required.